Plastic moulding company Phoenix Industries laid the foundation stone for a a new plant at Horana which will be fully dedicated to Unilever. It is on a seven acre plot of land opposite the Unilever factory premises. Dr. Nalaka Godahewa who assumed duties as the new chief of the Securities and Exchange Commission of Sri Lanka vowed to continue investigations on controversial transactions by some investors of the Colombo Stock Exchange.When contacted for comments on his new role and plans of the regulatory body, he said that he needs time to study the situation before he speaks to the media. The lubricant industry has not grown since the start of the second quarter this year, though there were prospects in the first quarter, said Chevron Lubricants Lanka PLC CEO, Kishu Gomes. Laugfs Holdings will open a luxury hotel in Bangadeniya, Chilaw shortly, company sources said. “We are hoping to add around 398 hotel rooms by the end of 2014 under the Ananthaya branded chain”, he said. 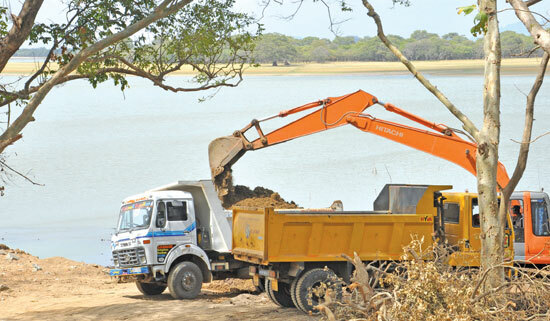 The chain comprises a 75-room hotel in Sigiriya, a 125-room hotel in Waskaduwa, a 110-room hotel in Passikudah and a 88-room hotel in Chilaw. Inflation, as measured by the Colombo Consumers’ Price Index (CCPI) (2006/07=100) computed by the Department of Census and Statistics, declined to 9.5 percent in August 2012 on a year-on-year (YoY) basis from 9.8 percent in the previous month, mainly due to the price decreases in the food category.